Hi, I'm Eduard Blacquière (1981) and I work at OrangeValley Consultancy in the Netherlands, where I'm responsible for SEO. I write about search marketing on my blog EduardBlacquiere.com and on several large online marketing blogs in the Netherlands. While Joost is enjoying his well deserved honeymoon, he asked me to do a post as guest blogger. “As long as it’s anything about search”, he said. Alright, that’s not so hard :) I thought I’d dive into the discussion of search engine rankings and what the value is in SEO. To match the style of Joost, let’s take a fear standpoint: Why rankings are worthless. Do we need to worry about rankings? Over the years the discussion about the value of search engine rankings when determing the succes of SEO comes back now and then. Last month Google gave us another reason to discuss the value of rankings, while blocking the automated rank checking software tool Web Position from retrieving search engine listings from Google. This has led some people, including myself, to ask themselves again what the value of rankings is. Historically search engine rankings are a key metric to measure your SEO succes. But do we need to continue tracking and reporting them? Do we need to make ourselves and, more important, our clients worry about rankings? I think we should not. One reason to not worry about search engine rankings (anymore) is the fact that search engines start to block rank checkers which are often used to track and report rankings. Webposition was the first victim (it seems to be working again, but for how long?) 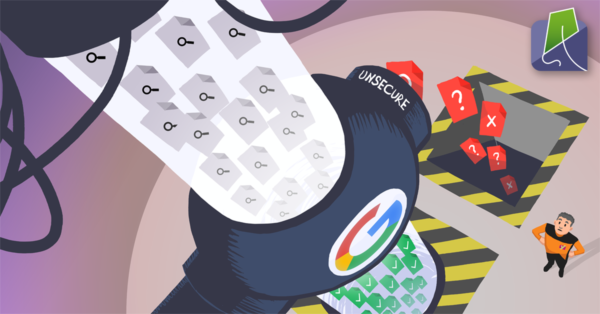 and it’s not impossible – I even think it’s realistic – to think that Google, or other search engines, will block more automated rank checkers which sent out hundreds or even thousands of queries per day to search engines. I’m not sure why Google would want to block tools like Webposition, besides that it’s against their guidelines (they even mention Webposition there). The argument they give – that it costs to much server power – doesn’t sound convincing to me. Maybe it’s because Google just wants human searcher behavior on their search engine so they can adjust their algorithm to humans and not to automated search activity by rank checkers. I also think that personalization of search results plays a role here. Another reason for which I think we should not worry about rankings is the personalization of the search results. Based on a growing amount of personal data search engines are showing a different set of search results to different searchers more and more. Last year Google has said several times that personalization is one of the most important things the search engine is focussing on at the moment. And they do. Take for example iGoogle (one of the fastest growing products of Google) which collects tons of personal data. And don’t forget the widely spread Google Toolbar which started collecting personal website visits alongside your search behavior. And what could they learn from Google Analytics, Google AdSense, Google Chrome and many other Google services? As you can image, Google has a lot of data to personalize their search results. And that’s what they’re doing. What’s the (future) value of rankings? That said, what’s the (future) value of rankings? Search engines blocking rank checker software tools is the least hardest problem to solve. Creative minds will find a way to track rankings anyway. But what about personalization? That’s a different story. It’s very hard, even nearly impossible, to find a way to optimize your content for search engines while search results are getting personalized more and more. That’s because you just don’t (and won’t) know the personal data Google has collected. I think there are rare situations where rankings could be of value though. That depends on the goals you want to achieve. I think most websites should start their SEO goals with traffic from search engines. But imagine yourself some major brands who already have a strong awareness in their market. For those companies their visibility in the search results on category or product related searches can be of value. But bacause of personalization maybe you shouldn’t track positions but for example you could track if you’re listed in the first 5 or second 5 listings or something like that. Of course most websites aren’t major brands so for most websites rankings tell you nothing in terms of measuring SEO. These two reasons only give me enough reason not to worry about search engine rankings. But what should we worry about then? I think you can measure the succes of SEO in a lot of ways, but let’s mention some metrics which I think are most important. These are just some basic metrics, but they give a much better insight in your SEO succes than search engine rankings do (feel free of course to add your thoughts about measuring SEO succes in the comments!). One basic metric which is easy to measure (and which means a lot more than rankings) is the growth of overall traffic you receive from search engines (of course that’s from natural search results and not the sponsored listings). Before you start with SEO, measure the amount of traffic from search engines and make this your benchmark. Start your SEO activities and measure the growth in search engine traffic on a regular basis. This gives you a basic insight into the results of your SEO activities, but it tells you more than measuring search engine rankings. An easy addition to this metric is to measure the growth in traffic from search engines for specific keywords. Most of the time SEO is based on optimizing your web pages for specific keywords. Therefore the measurement of growth in traffic from search engines for these specific keywords gives you a good indication of the succes of your SEO efforts. Of course don’t forget to make a benchmark of the amount of traffic you receive from search engines per keyword before you start doing SEO. Together with this metric you should also measure which page the traffic from search engines for the specific keywords lands on. Of course that should be the pages which you’ve optimized for those keywords. But especially with the more generic keywords and/or pages with similar content it’s interesting to see which page search engines will pick to rank and thus sending you traffic. Every web site has one or more goals which you want your website visitors to complete. You should measure your web site in depth to know if your website visitors convert from random visitors to prospects or even clients, depending on your goals. When measuring the succes of SEO you should measure this conversion of traffic you generate with search engines. It doesn’t matter where your site ranks in the search results. It doesn’t matter how much traffic a search engine sends you. But it does matter which quality of traffic a search engine brings you. And a great way to measure the quality of your web site traffic is to measure how well it converts according to your goals. Of course as with every metric, start with a benchmark and look at the growth. You knew this metric was coming. To get an even better insight in the succes of your SEO efforts you can measure the growth in conversions per keyword from search engine traffic. This tells you if the keywords for which you’ve optimized your web pages brings you quality traffic. If not, maybe there’s something with the conversion process or usability of your site. Or maybe you’re even targeting the wrong keyword. You wouldn’t have a clue about this if you were just measuring rankings to determine the succes of SEO. These 4 basic metrics give you a much more better insight into the succes of your SEO effort than search engine rankings do. But you could even go further with determing the quality of the search engine traffic you generate. Take one of the 4 mentioned metrics and take a look at the bounce rate, the time on site and the amount of retruning visitors. These metrics don’t tell you much individually, but look at the trends over time. Does the bounce rate of a web page decrease after you’ve optimized it for a specific keyword? Then that’s a signal the searcher finds what he’s looking for. Is your bounce rate increasing over time while doing SEO? Then you might be targeting the wrong keyword for that specific page. These metrics which say something about the quality of the traffic aren’t solid laws which can be applied to every web page. Sometimes a high time on site is a good signal, for example with a blog which writes long articles. But when the time on site is high on an ecommerce website, it could be a signal visitors can’t find what they’re looking for. The same goes with metrics like bounce rate and returning visitors. So please take into account much more than the metric itself. What does the web page look like? What’s the goal of the web page? How much content is on the page? And what sort of content? Ask yourself these and more questions when interpretating metrics like bounce rate, time on site and returning visitors. I think it won’t surprise you that a web analytics package is needed to measure the metrics mentioned above. The choice of the specific package depends on your goals, demands and experience with web analytics. But the metrics mentioned above can all be tracked with free web analytics packages like Google Analytics, Yahoo Index Tools or Microsoft adCenter Analytics. Are you using a blog or website based on WordPress? Go download the WordPress plugins Joost created to easily implement Google Analytics or adCenter Analytics in your blog or website. So why bother about search engine rankings when measuring the succes of your SEO efforts? Are rankings reliable with search engines personalizing search results more and more every day? I think we shouldn’t worry about rankings, but what should we worry about? Go beyond rankings and measure basic metrics like the growth of traffic generated from the organic search listings. Segment that traffic per keyword and go measure the conversions, preferrable per keyword. And get even a greater insight about the quality of this search engine traffic with metrics like bounce rate, time on site and returning visitors. But interpretate those metrics with care and take in account much more information besides the metrics. That should give you a good insight into the results you achieve while doing SEO. And this insight goes far beyond the information you retrieve from measuring search engine rankings. Because what’s the value of a search engine ranking without receiving quality traffic that converts? Such a ranking is worthless. I completely agree with Benj Arriola – the title is very catchy but a little harsh. Rankings are not that worthless, they are only worthless in isolation. Without rankings you can not expect people find your services. But I completely agree with the main topic of this well written post – goals and ROI are a true measure of the online success. Rankings are still valuable, especially when combined with traffic data etc. But as a SEO metric for succes, rankings only are just not enough. I agree rankings are flawed, but they are far from worthless. I think personalisation is over-blown, Google doesn’t have enough data on the vast majority of users to personalise, and I test searches from lots of different computers on lots of queries and see the same results most of the time. But the real issue for me is that, as flawed as rankings are, they are still the best metric we have. Measuring traffic or any of the traffic related measures in the original post as an absolute metric is way more flawed than rankings, because it takes no account of seasonality, or general growth in internet traffic. One of our clients ranked really well and got a lot of traffic for search terms like “Christmas gift” in December, but in January it dried up – so we must have really screwed up their SEO, right? Perhaps traffic metrics as a twelve month moving average have some merit. I don’t think any one metric will ever be enough though, unless someone can figure out how to measure the exact proportion of all the relevant clicks out there you actually got. If anyone knows how to do that and hasn’t yet figured out how to make themselves very rich from the knowledge then please get in touch! In some ways I agree with this post; we must not become fixated with trying to figure out what modifications will cause our page ranks to change. On the other hand, I feel that without this system, we are left in the dark and cannot progress our SEO any further. It is very difficult to determine what will work and what will affect the final outcome of your site. “As a measure of SEO success; CHECKING YOUR RANKS using automated rank checkers is meaningless”. – Wouldn’t it be easier to just check it yourself? For each website you will never truly know what is going on with it but with ranking, you can measure what works and how effective your site is working. 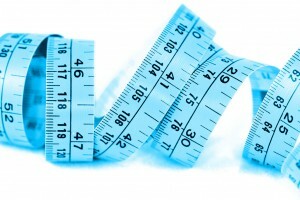 ”You need something like a zero measurement to start with. What is my ranking, traffic, keywords and conversion at point zero.” I completely agree, you must start from the beginning and work your way up. Thanks, good to hear that! This is an excellent primer to search engine metrics. Too often, rankings mean little, especially when they’re for irrelevant or poor quality keywords. Overall growth of traffic, whether from high ranking short tail keywords, or little searched but multiple long tail keywords, is what’s most important. All in all, your post gives some great insight into how SEO should be. We at promotion ranking believes that rankings are not delivering the desired results but it is helping you to enhance your visibility in search engines which is good to create you online brand. Organic rankings are good from the branding point of view. Automated rank checkers are useful but you need to be more aggressive while depending on software manual approach is the best approach. A question for you. Similar to your blog, I’m using both categories and tags as two ways of structuring content. To prevent duplicate content, which should I prevent from being indexed by google, Tags or Categories? Thx a million. @Scott Goodyear: Good to hear you agree! “Google blocking your rank checker Webposition was not an issue I wanted to discuss,” Right, I get that. I agree, there is so much info out there that you might check, gather, work with, in order to come up with better business decisions than rank checking alone. I agree, 100%. As an SEO you want to be smart and tell people your point of view, gain a few clients, etc. but even in your reply just above, why do you continue to say that Google blocked WP? Google didn’t block WP. @Scott Goodyear: Thanks for commenting here. Of course I know rank checkers are anticipating on search engines changing. Google blocking your rank checker Webposition was not an issue I wanted to discuss, it’s only a reason to discuss the value of rankings. Your second paragraph says it all: “It [rank checking] is one of a number of stats that you can use to generally see how things are moving along”. The value of rankings doesn’t go further than that: a general overview of how things are moving along. Use more detailed and more meaningful metrics than rankings to determine your SEO succes. Although we have a SERP Tracker that works quite well, we know that search engines don’t really like it and they try to block automated tracking whenever they can. We would of course do it more legitimately if they actually provided a commercial API, but they cancelled that a while ago. If you couple that with the current and increasing personal and universal search results (especially locale-based search results), then you basically have a mess on your hands and an almost impossible way to accurately track SERPs. Then you get into the relevancy of the search terms and whether or not they actually drive targeted traffic. For example, you may rank well for a search term, but that doesn’t necessarily mean it’s going to drive targeted traffic. It’s basically like having a PPC campaign without filtering negative (unrelated) terms â€“ it shows up a lot, but it doesn’t necessarily convert well. Why do we still do SERP tracking? Mainly because it’s interesting data (at least for the time being) and clients still want to see it. However, we predict that as people (like ourselves) start tracking and analyzing more relevant data â€“ data that’s related to the bottomline and success/failure of search marketing campaigns â€“ traditional SERP tracking will eventually phase out. That’s why we’re investing our efforts into true SEO ROI reporting and away from traditional SERP tracking. LOL Scott; let’s not make a mistake here; You are employed with webposition. You run around the internet defending WP to the end. We get that. It’s against the TOS of Google to run automated rank check software on their server. Period. I’ve witnessed the to and fro between WP and Google for over ten years. I know you like to put a rosy picture on things, but come on; no matter what, it’s still against Google’s TOS and there is nothing you can do about that. Sorry. Eduard, it would be really vain of us to think that every time Google made some change to their HTML, that this was a direct assault on WebPosition. You -do- understand that every time Google makes some change to their HTML, that WebPosition, it’s competitors, many Firefox plug-ins that interact with Google, many tools on SEOs sites and forums that query Google, and countless other programs often need to be checked and re-programmed so that they can continue to understand the output right? You and others perpetuate a myth and not a fact. As John A mentions, it is possible that if you run the same keywords through a rank checker over and over and over, they might set up a profile for your IP address. They may even suspect a rank checker. But then again you could hire a human being to run the same searches through a browser. And most rank checkers worth their salt do not say that they are rank checkers when they go out, they emulate a browser. Do you think that 40 people on the same shared IP address, checking the same keywords each day when they get in the office at 8am, is that much different than running a rank checker? I think it has already been covered, but rank checking is not the end all, be all. It is one of a number of stats that you can use to generally see how things are moving along. If you are smart in how you do it, you can combine the data with analytics, your on and off line advertising numbers, and other bits of data to get a picture. The picture will always be fuzzy, but you have to make due because you’ll never have a true picture of what is going on. Just an impression. And you have to make biz decisions based on those impressions and see if the decisions are an improvement or not. @Doug Heil, @Jesper JÃƒÂ¸rgensen: Thanks for your discussion :) It proofs to me that it’s an important and actual issue which deserves attention. @Affan Laghari: That’s also what @Florida SEO was thinking, but I don’t think Google goes that far. I do think though that it’s a good indication for Google to detect automated search queries. So you agree that rankings do exist. Thats a starting point at least. But you never pointed out WHY As a measure of SEO success; CHECKING YOUR RANKS using automated rank checkers is meaningless. You stated other ways to retrieve the same information (e.g. looking at log files), but you did not point out why measuring rankings is meaningless. How do you know that you are not optimizing for keywords that are already ranking #1 in Google? You could optimize such a keyword from now on to the final day without getting more trafix. And don’t give me a song that you check them manually in Google, because then it is just a question of what is easiest or quickest. If your clients cant handle rank analysis, then don’t give it to them. But doing SEO on keywords that you don’t know how ranks is like driving your car blindfolded. I also don’t get your point that noone should charge for for rank checks. If the client judged that they could do it easier or better cheaper, they would do so. Its like saying that noone should charge for cleaning windows because anyone can do it themselves. I respect that you find rank checks (automated at least for measuring SEO etc.) meaningless. Thats an opinion that you are free to have. But just because it is your opinion does not turn it into a fact that we all should share. Catchy title. Although I don’t believe rankings are worthless. They are worth something, but I totally agree that ranking alone should be used as a measure of success. Currently for me, rankings are important to look at, but it is really conversions that can be translated well into ROI. Today some people say that monitoring conversions also is not enough and more people are talking about engagement. They all give the search results a different appearance from the view of one person to another. But even if this is the case, I would still give ranking reports to clients and I would still check ranking reports to see the trends in the changes in ranking. Although I do understand that in the view of other people they may see something different, as long as all the parameters on my end are constant, that is all that is important to me so I can measure changes effectively to see if my optimization efforts are doing better or worse. And about WebPosition being blocked. Actually many people blogged about that and mentioned this in the forums. But it was not really blocked. Google just changed their source code so the (scraping) reading of the rankings on the page was thrown off until WebPosition did their updates. Which is also why I like WebCEO a lot more since they seem to be faster in coming up with updates. But overall, still a good post to open up the minds of others that think ranking is everything. Why would Google ban Webposition and the like? Simply because these software won’t give Google any revenue by clicking on Sponsored Ads where real users would. So they use the resources ONLY, period. Jesper; Please tell me exactly where I stated a top ranking was “meaningless”? Never said that at all. I think that is where the confusion is at. Eduard has stated it a few times in his article, and I’ve stated it as well. As a measure of SEO success; CHECKING YOUR RANKS using automated rank checkers is meaningless. Further; if you client wants to know his exact rank on an exact keyword phrase, tell him to go to google.com and do a damn search. LOL How hard is it? I think another big problem is that many of you think your client is receiving a rank check because of the monthly fees you all are charging them. Funny that huh? Funny that the same client could buy the same damn software and check his own damn ranks anytime he so chooses to do so. OR: They could do their own searches on google.com to find out what THEIR computer says where they are ranked on a term. NO WAY should anyone be charging a monthly fee for a rank check. I’ll tell you why so many still don’t get it. You are one of them! On your own website you write that you can help people obtain top rankings when you just argued that such a thing as “a top ranking” is meaningless. Thats what you state with “how the heck does a rank you see on YOUR computer extend to a rank someone else sees on THEIR computer? It doesn’t.” Is that inconsistent or what? Fact is that some sites will top the default rankings and that these sites will get significantly more traffic than the sites that don’t. This article: http://training.seobook.com/google-ranking-value documents that the #1 position receives 42% of the traffic where #3 receives 8.5%. That is an increase by 5 times when going from position 3 to position 1. I can assure you that any company that drop from #1 to #3 or below on their main revenue generation keyword will call you and ask why their traffic fell to 1/5 and the revenue did the same on that keyword.. .
@doug: I probably do not understand it then, because what do you mean by the ranking I see on my computer is different the client sees on his computer? I know ranking isn’t the holy. It is one of the measurings you can use. Wow. It amazes me how many still just don’t get it. Your article was VERY clear and to the point. To many of you; how the heck does a rank you see on YOUR computer extend to a rank someone else sees on THEIR computer? It doesn’t. Second; you can gage and judge and measure ANY darn keyword phrase you wish by reviewing your log files and/or your stats program. If you are not receiving traffic on that keyword phrase, you know darn well you are not ranking on the first three pages, so what is the problem? You can’t review any type of comversion analysis either with a rank report. Matter of FACT: that silly rank report so many of you are defending doesn’t tell you a damn thing. Start selling your clients something that actually matters. Justify your monthly fees with something that actually benefits your client. The headaches and constant daily emails asking you what happened to keyword phrase X. It’s went from position 5 to position 11 today!!!!! waaaaa baaa haaaa…. TEACH your clients what really matters. Considering that the position your client sees is different to what you are seeing, how the hell can a rank be of any benefit to anyone? Why is it only a small portion of this SEO industry actually gets it? WHy? I have not used some silly rank check software in over 5 years now. NO NEED TO. Get over it. If nothing else, get over it for the sake and benefit of your clients. @Eduard: Still don’t agree, without ranking you can not measure. You need something like a zero measurement to start with. What is my ranking, traffic, keywords and conversion at point zero. @Reynder: No, the title of this article is “Measuring SEO: why rankings are worthless” :-) With that I’m saying that rankings are worthless in the context of measuring SEO. I’m not saying rankings are worthless in general. @john andrews: Great argument and I agree that it’s not so hard for Google to detect automated rank checkers. @Jesper JÃƒÂ¸rgensen: Maby you are able to see the none personalized search results, but are that the search results the target group of the web site your optimizing for is seeing? Ranking still matters when I’m taking your 4 pointers into account. No ranking means no search engine traffic. Or am I missing something. If you only have a little of time spend it writing articles, I think that is far more important than ranking, measuring traffic or anything else. Google once allowed acces to their Google API but shut it down again. The API was a perfect method for Google to filter out requests that were not generated by humans. I understande the decission to some degree, but i doubt that any serious rank tracker program has been stopped by this. As to how I can be sure that the ranklngs I get are not personalized, I have enough knowledge about nuts and bolts on the Internet to be sure that any effort to personalize search resuls must be based on cookies. And no rank tracker that I know of supports cookies. The IP address that the request originates from still influences geotargeted results, but eventually you can check the rankings from a location of your preference. So how do you get evil competitor in for a manual review and out of the rankings? Create a full monty ranking monitoring of evil competitors website. What is most likely: A) Google gets them in for a manual review and puts a penalty on their website or B) Nothing happens or worst case, the rank tracker gets blocked? In my book it is B). Strong international growth as well as sustained traffic increases on Google’s web properties propelled us to another strong quarter, despite a more challenging economic environment,” said Eric Schmidt, CEO of Google. “As we continue to focus on innovating in our core business of search, ads and apps, we also look forward to enhancing the experience of our users and expanding the reach of our advertisers and partners with new technologies and formats, particularly as our integration of DoubleClick gains momentum and creates new opportunities in display advertising and elsewhere. Here’s a thought … Advanced automated ranking checkers, that are not easily detectable, skew the estimated volume of searches for a given keyword. Adwords keyword values are set in part by the search volume of keywords and competitive bid amounts. If Google has incorrect usage data the value of their advertising is compromised. They aren’t about to let organic seo effect their advertising market. I disagree and here’s why. Most SEO Reporting systems I know of check rankings but also compare a set of sites, and are used along with reports on inclusion (if in the engine, how many pages in the engine, etc). Some even analyze anchor text and such. They use advanced queries of primary interest to those watching their site rankings. Anything that uses advanced queries stands out. If you execute a query that looks like an SEO query, over time you build a history for queries involving your site’s status. After 6 months, for example, Google has seen N site: queries for your site, compared to how many for the “average” website? After 1 year? And when combined with a check of your competitors in your market? If they aren’t chekcing also, it doesn’t look like the rank checking is being done by a competitor. I say it is *trivial* for Google to know you are checking your own rankings for position, if you use these tools. The rare instance of a top ranking site in Viagra getting rank checked every day by a dozen competitors is equally understood by Google… they would not overreact to that either. Quite a idfferent story for your average ranking site that pays an SEO firm to produce rank reports. They stand out if anyone wants to look. You can start arguing about competitors checking your site, the innocence of a site: query, etc but in the big picture none of that is important. Fact is that when questioned about your site (by a competitor or via a spam report or via manual review of a competitive SERP), a Google *person* will review your site to make a *judgement* and these signals of interest in SEO placement can be taken as intent to manipulate the search engine rankings. If the statistics show rank checking parallels SEO efforts, then Google will add it to their review tools as much as it is worth adding. I don’t know if they do, but I consider it wise to avoid rank checking. @Jesper JÃƒÂ¸rgensen: Thanks for your comment and mentioning this article at your blog. Of course you need to know why your search engine traffic increases or decreases, but my point as that rankings should not be used as a KPI to determine the succes of SEO. I also agree with Heini and you that Google needs a default ranking for new users for which they don’t have any data. I also agree that it will probably take a few more years for personalized search to have some really heavy impact, but that it’s changing is for sure. But how do you know that the rankings you are checking are the ‘default’ rankings or personalized? You just don’t know. Of course you can track rankings to get an overall idea of the bigger picture, but in the end a ranking does not guerantee you quality traffic which converts. And that’s what matters. I fully understand that what is important in the end is how much traffic you get from the search engines and not rankings in itself. But to improve your SEO skills you need to know WHY your traffic increases or decreases. I agree with Heini that Personal Search does not change the fact that Google needs a default ranking for new unknown users. And a site ranking #1 in the default list has a lot higher probability to rank #1 in a personal search. Therefore you should still see a correlation between position in the default rankings and in traffic from search engines – even if all users use personalized search. In my book you need to track both position as well as generated traffic from each keyword. @AndrÃƒÂ© Scholten, @Jorginho: Thanks, appreciated! @Tanner (does Utah marketing): Google blocking rank checkers is in fact a reason to discuss the value of rankings. I don’t think Google blocking rank checkers increases the value of rankings. @Heini van Bergen: Thanks! I agree that rankings can be a good indication of what’s going on (nothing more than an indication), but please don’t use them as a KPI for SEO succes. @Jaan Kanellis: Don’t forget for example that Google is the default search engine for new Dell PC’s and the installation of the Google Toolbar isn’t a big step after that. Of course rankings are a nice metric to look at for the bigger picture but again don’t use rankings as SEO KPI. 1. They will never block rankings checkers. Most all of them spoof themselves as a browser and the engines have no way of knowing UNLESS your an idiot and spam many requests at once to them from the same IP. 2. I still feel personalization is only really part of the internet marketers world. I bet 95% of the world has no idea what the toolbar or iGoogle is. Now if you preinstall this stuff on all new PC then youâ€™re talking. With that being said personalization can only help search results down the road. I just hope they donâ€™t hurt them by giving users what they donâ€™t want or making searching decisions for them. 3. I still think rankings are fun “entertainment” metric similar to the TBPR page scores. Nice and pretty to look at, but doesnâ€™t matter as much will looking at the big picture. Nice work and I’m hoping to see a lot more of these pages designed to become references for “why we don’t track rackings every day”. We need to be able to point our clients to them. If enouhg of them make the points clear, maybe Google will finally produce one as well. If Google gives less importance about SEO than we will have a hard time optimizing sites! I’m sure that we’ll see in the future those huge authority sites game a huge chunk of the SERPS. Nice post and interesting point of view, Allthough I don’t fully agree with you. Whatever metrics you are willing to use, it all start with rankings. If you don’t know what your rankings are, it’s very hard to take the next step into optimization. If we take a step further in the future, things will definitely change. But even when personalized search is fully incorporated into serp’s (I guess it will still take some years), there still has to be a starting point for rankings to appear. If somebody has no or little history on a certain search term of group of terms. Search engines have to come up with a list of websites (or rich media stuff). So, rankings will still matter, but I agree with you that the value of ranking reports will decrease, if it isn’t already that way compared to metrics like traffic, traffic growth and conversions. I am clueless in SEO but as searcher I feel a lot of results personalization from Google. It is especially visible when I get local news sites and such as top results for names of companies/products instead of their official pages. Interesting approach. Though I think that the blocking of rank checking software doesn’t really have anything to do with the importance of rankings. In-fact, I would say that it just increases the importance (if Google blocks rank checkers, does that mean they value it?). Oh, forgot to give you credits ;) Very good post, it’s really something people should look at for the future. Next to personalization you have the ‘predefined search’ issue. Google is testing this on AdWords and it won’t surprise me if they are doing it in the Organic results very soon. I created a ranking filter in Google Analytics that tells me from which page a person clicked on a keyword. This is giving me good information about the position of my keywords. At least, better information than my ranking software.